Today I want you to meet Rebecca, whom I’ve known for several years now and is someone who I really respect and admire. 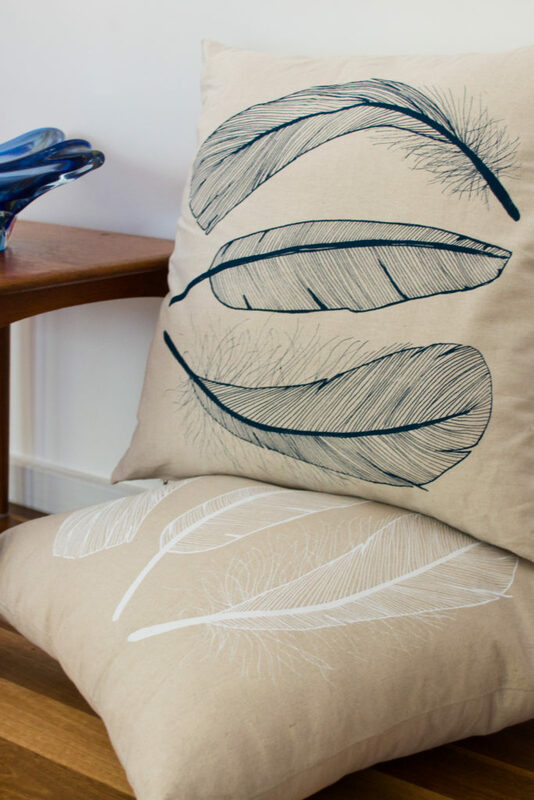 Rebecca is a textile designer who creates amazing designs from her own illustrations, then hand-prints them onto high quality linen. I’m lucky enough to have several of her pieces! 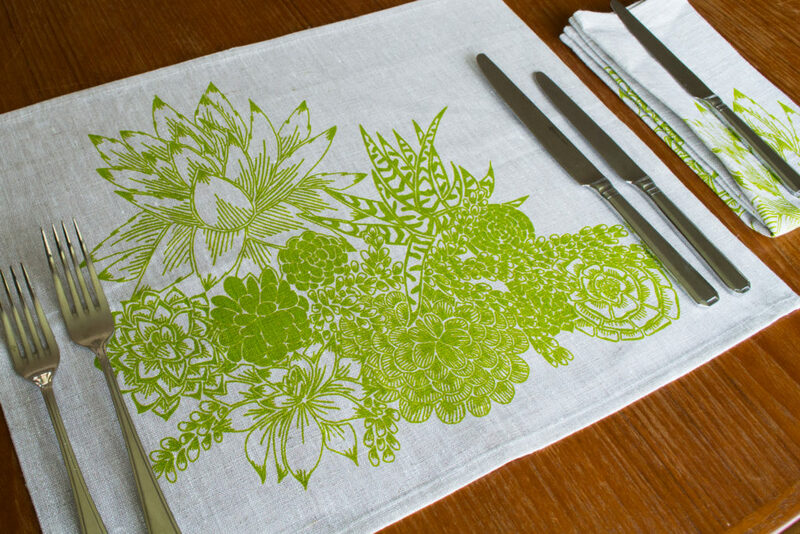 I am Rebecca from Blue Radish where I create handprinted table linen, homewares and insulated totes in my designs developed from my own drawings and photographs, inspired by nature. I live in Canberra, Australia with my husband and three children. 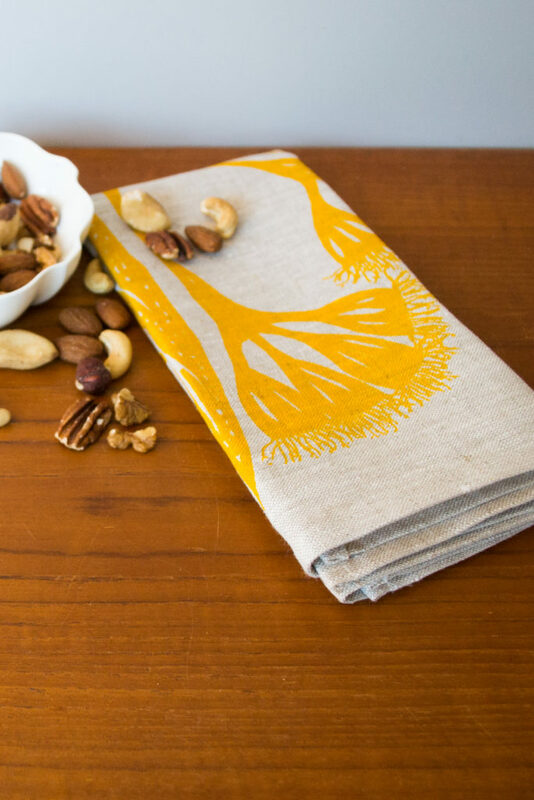 Originally Blue Radish was born when I began producing far more screenprinted fabric and the products, mainly bags at that time, than I could use myself. Once the opportunities to give them as gifts to family and friends were saturated, I started to sell them. However, in 2015 I was struggling to balance outside employment and the needs of my family. 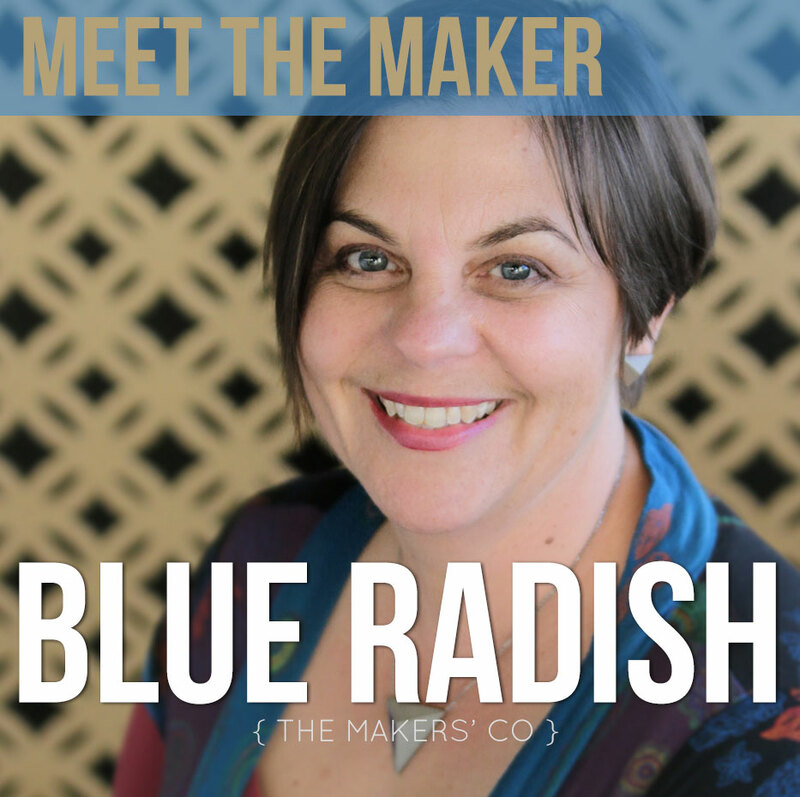 I decided to build Blue Radish into a business which could allow me the flexibility I wanted for family life, the freedom of being my own boss and the opportunity to follow my creative passions. I’ve got to say that the freedom and flexibility of being my own boss has changed my life the most. Our lives are much less stressful these days and that means better mental health and happiness for everyone! The challenge of learning to run and grow a handmade business has been wonderfully rewarding too. The feedback I most often get from people is that they love my designs. They tell me my artwork is beautiful and very different from anything else they have seen. That is wonderful to hear because I set out to create a product that can’t be found anywhere else. I haven’t yet been in business for three years so I’m definitely still learning. However I have been very lucky to have been a stallholder at the very popular Handmade Market here in Canberra a number of times now and it has given me a great opportunity to talk to a wide audience about my work and I pay close attention to who is most interested. This has been invaluable for identifying my ideal customer. It was actually a bit of a snap decision when the pressures between home and work reached a breaking point. I am incredibly lucky to have a very supportive husband. Recently, though, now the kids are a bit older, I have returned to some casual and contract work to supplement our family income (teenagers are expensive!). 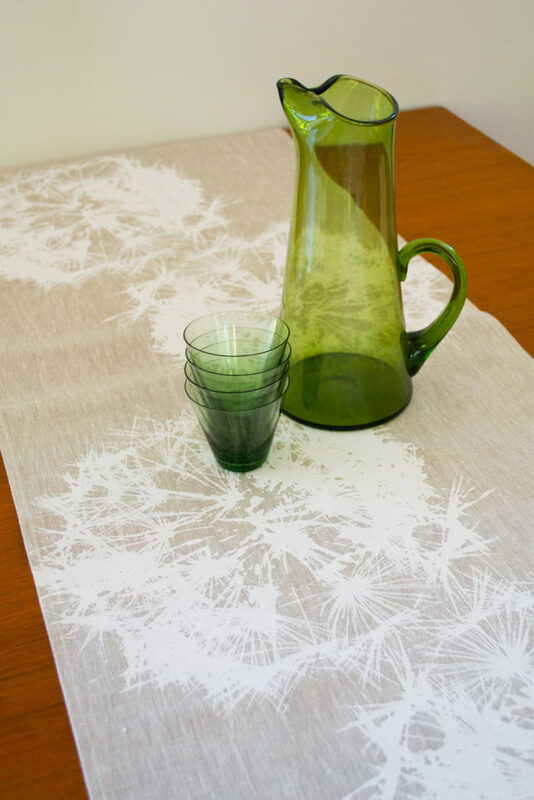 My goal is that Blue Radish will be my full time income in the near future as I start to wholesale my table linen range and further build my online sales. I often find my creative inspiration in nature. I particularly love Australian native flora but just being out in nature relaxes and inspires me. 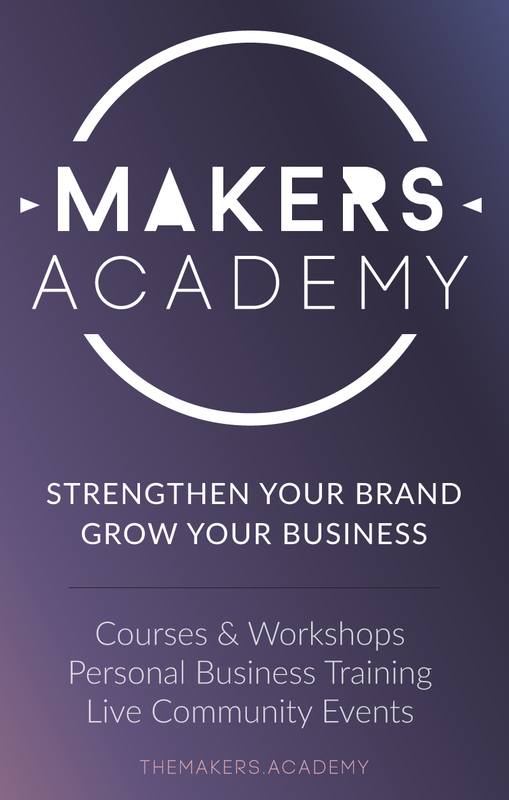 For business inspiration I turn to my wonderful online communities such as the Maker’s Co. I also listen to the Create & Thrive Podcast religiously. I also have a wonderful community of other makers and small business friends through Trove Canberra, a cooperative for local artists, makers and designers. I thought I’d say I am pretty organised, which is true, but I think it is my determination to keep learning and trying that is probably the biggest strength I have brought to my business so far. I am lucky that my kids are a bit older (they are 11, 13 and 15 now) so they are at school everyday and pretty independent when they are home. However, that also means that it is easy to keep working after school hours. Finding the right balance between home and parenting responsibilities and the business has been the biggest challenge. Focus on the important things. When I set myself my top three priorities for the week and my day, I get so much more of the important stuff done instead of spending time on the minutia. Before I did this, I spent a lot of time on busy work and didn’t get the jobs done that would actually grow my business and my income. Stick it out. The shape of your business may change – you need to be flexible – but it takes time to get traction, find the products and processes that work and to build a good income. I am excited about seeing the continuing growth of my business and for it to become my full-time income. Starting to wholesale my products will allow me to reach a new audience which is exciting also. Growth in the business will also require extending it beyond just me in some form or another. There are some jobs I’m pretty excited about outsourcing!